Ideal for hunting, fishing, camping, tailgating and marine applications, this small unit is big on power but small on size. Weighing just 57 pounds take it anywhere and use the 120V and 12V outlets for those small jobs where a power cord cant reach. Operating for up to 12 hours at half load with a peak output of 2000 watts and a low noise level of just 66 DB, the PG2000C will give you years of power and freedom regardless of where you are. 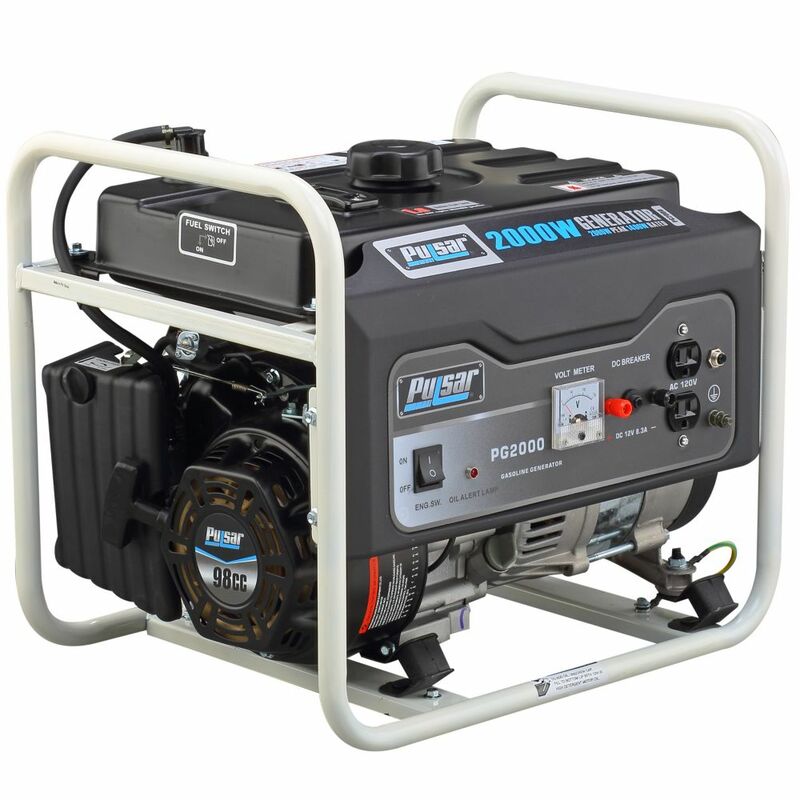 2000 Watt Generator Ideal for hunting, fishing, camping, tailgating and marine applications, this small unit is big on power but small on size. Weighing just 57 pounds take it anywhere and use the 120V and 12V outlets for those small jobs where a power cord cant reach. Operating for up to 12 hours at half load with a peak output of 2000 watts and a low noise level of just 66 DB, the PG2000C will give you years of power and freedom regardless of where you are.